i have replaced one egg for 2 tbs of plain yogurt, added butter instead of coconut oil, added dried cranberries and made mini cupcakes ( 14 min at 350F). it was awesome! Just made these for my son who is on the SCD diet. I followed the recipe exactly and added some blueberries at the end. These we so good. It’s as good as any muffin I’ve ever made. New favorite in my house! Just made these. Halved the honey and added 1 cup fresh blueberries and they were perfect. Not too dense or crumbly. Thank you very much! Perfect for my Paleo diet. Can’t wait to try new combinations. My fitness pal recipe calculator put these with my alterations at 7.4g of sugar with only 8.6g of net carbs per muffin. Now I just need the will power not to eat the whole batch! I’d made these a couple times before. But this time I made them came out best. A few slight changes(or additions, really): I ued 1/2 cup butter instead of coconut oil. I added roughly a cup of frozen blueberries folded in after the batter was finished mixing and sitting to absorb moisture evenly, and of the 3/4 cup I filled it about 2/3s of the way with coconut four and about 1/3 almond flour. Came out delicious, perfectly moist without sticking to the unbleached paper muffin liners! I was wondering if you had the nutrition info on the muffins, I am type 1 diabetic and insulin dependent and have to count total carbs. I want to try these but would love to know exactly how many carbs. Do you have to spray or grease the tins ? Hey! Made these tonight but they didnt turn out great. I followed all of the directions exactly other than adding a little less honey than directed. They turned out like dry eggy pancakes. Very unfortunate. I threw most away. I only use xylitol or stevia for sweetener……no honey or syrup. Do you have bread(s) or muffins etc that DON’T use honey or sugars? I have to be careful with my amount sugar intake, from any source. I find the above mentioned sweeteners work best for me. I also don’t use butter so will sub with coconut oil, or other oils in some cases. I’m less concerned with the fat content than the sugar. Im in the SAME boat! I can’t have honey or maple syrup and I can not for the life of me find a coconut flour recipe for muffins OR cupcakes that doesn’t have one or the other. Just wondering if you could tell me the nutritional content for one of these muffins? Hiya just made ur simple coconut flour muffins. Top burst open when I opened the oven and the bottom was very dense..however the top was light and airy. Help..what did I do wrong. Thanks for all your great receipes. I subbed 1/4 c cocoa powder for 1/4 c coconut flour. (Before I read the comment to just add it) Added in frozen dark sweet cherries and dark chocolate chips. ? Smelling them bake right now! Yum! I used 5 eggs and 1 heaping tablespoon of greek yogurt. Also used half stick butter instead. They came out really delicious. Do you know the carb count for your coconut muffins? I know it can’t be much (just the honey I guess) – just wondering, and I added 1 cup blueberries from our property to the recipe. These were great. I did plain, so they were a little plain ?, but otherwise moist, a good texture, and flavor! I am going to try cranberry orange tomorrow. Thank you so much! I ❤️ Coconut!! but 6 eggs for 12 muffins is too much! no substitution possible? I have wheat and gluten allergies and also egg allergies. Do you have a recommendation for egg substitute? I’m so sorry but I don’t have any recommendations at the moment. We are working on egg free versions of my recipes. I made them but also added fresh blackberries, coconut flakes, lemon zest and chia seeds. They’re were a bit dense and crumbly but good taste. Also, I had used last of coconut oil for recipe and had to “grease” muffin pan with olive oil. Most of them stuck a little bit to the pan. I think the addition of blackberries tipped the scale for wet ingredients and I should’ve added a bit more coconut flour to soak it up. Just made them, I ‘m not sure about the flour I used, but it sucked up all the moisture, I was getting worried so I added 1 cup of milk and the batter became more familiar to me. Tasted good at the end but I think I will go back to my bulletproof almond flour muffins. How many carbs are in one of coconut flour muffins ? Love this recipe. I used ghee in place of coconut oil and tsp of vinegar and my muffins were super moist and delicious! Wow! What a great recipe! I have never taken the time to comment on a recipe before. Very moist and not at all crumbly. Made a batch this afternoon with blueberries. Whole family loves them. So much so, I have a second batch baking right now. Making blueberry again but added some shredded coconut. Love all the other ideas – peanut butter/banana/chocolate – sounds like a dream. The orange and cranberry is another must try. Thank you for this recipe! Hello. This may sound like a silly question. When me surfing the coconut oil do you measure the quantity when in solid or melted? Solid? How much if mine is in liquid form? I find that a lot of coconut flour recipes have that grainy/gritty taste of coconut. Will using a blender on the flour before mixing with other ingredients help? Also, how can you get more rise and less denseness with coconut flour muffins? Made these with 1/2 cup melted kerrigold grass fed butter, and 1/3 cup puréed pineapple tidbits with juice( the kind in 100% fruit juice) and while I was blending the pineapple I added 2 tablespoons xylitol sweetener into the puréed pineapple while it was in the blender. The fiber from the pineapple gives the muffin a pound cake texture and honestly , they taste like little pound cake muffins! They are better if you put them in the fridge overnight and then eat them. when I make them like this, it makes 9 muffins. I butter the muffin pan really well so they get nice and browned on the outside. Super easy recipe and takes only about ten minutes to put together. Oh, I use eggs from my local farm in town. Linda, the pineapple sounds great! Did you use it in place of or in addition to the honey? Hi , I would like to make these today but when you say 1/2 cup of coconut oil melted do I used 1/2 cup of solid then melt or melt then measure ? The later I will use more so just want to get measurements right . Anyone has the macros for these muffins? Also,has anyone used stevia instead of honey?? Would really appreciate your answer. Thanks! What can i use instead of eggs ? Bananas ? Or chia ? Hoe much. ? Just made these and they are amazing!!! I substituted the coconut oil for 1/2 cp applesauce and 1tbsp canola oil. These are moist and soooo delicious! Thank you for the recipe!! I usually make muffins with a 3″ muffin pan. Doe this recipe require a smaller pan? These are fantastic! Added frozen blueberries and they came out great. 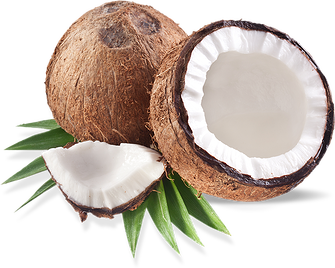 I have always loved the flavor of coconut and these had great flavor. Thank you! I wonder, could you add xanthan gum or guar gum as a binder and lighten up on the eggs a little bit? well, nevermind. Just read a comment that answered my question! I’m making these right now, the batter already tasted great. Next time I’m gonna try to sub some of the coco oil as they are literally frying in the oven. Maybe a bit of almond milk instead. I’ll see how it turns out. is it necessary to use raw honey when the muffins will be baked? it is more expensive and will be cooked anyway. Do you have nutritional info? Great recipe! The muffins came out nice and tasty, it will be great to add tothe family’s breakfast! Hi! I’m anxious to start baking with my coconut flour! Your recipe for basic muffins calls for 6 eggs. I use jumbo sized and was wondering if I could cut back to 5? Thanks in advance! Made this muffins the other day, and it was great. I’m making another batch now! Thank you so much for this nice and easy to make recipe! I will be trying the other ones for sure! I used butter instead of coconut oil. Also, I cut down the eggs to 4 and added a teaspoon of xanthan gum. The xanthan gum binds everything together and the result is a less eggy product. Perhaps less than one tsp is necessary, I haven’t experimented much with it. But it doesn’t affect the taste at all. I also added a half cup of vanilla yogurt to add back the moisture that the two deleted eggs would have contributed. I didn’t get to tast the muffins though, because all four of my kids each gobbled down three. They said the muffins were the best I’ve made so far. Before I used xanthan gum, the kids hated the coconut flour baked goods because they were just too eggy, as they said. So I figured out that xanthan gum was a good way to skirt around that problem. However, I do not know to what extent the xanthan gum would allow me to cut down on eggs. It’s possible I only needed one or two eggs. There’s a lot of experimentation to do. Alliene, how has the experiment gone?? Was thinking of doing the same but I wasn’t sure how much xanthan gum to add and how many eggs to reduce to. I didn’t think about adding yogurt, though, was just going to add a bit of heavy cream or coconut milk. Can these be saved in the freezer? Made these coconut flour muffins today but made a few changes.. I puréed canned pineapple rings ( the ones with the 100% juice in the can) and used 1/2 cup plus 1 tablespoon and added 1 heaping teaspoon of dry Stevia in The Raw, and 1/4 cup erythritol powder. I used 1/2 cup of softened Kerrygold unsalted butter and 1 teaspoon melted coconut oil. They came out really moist and tasted similar to a lightly sweetned vanilla pound cake. Next time I am going to add fresh cranberries and a few tablespoons Orange juice and fresh grated orange rind. I think this is the best coconut flour recipe I have nade so far. Just delicious!! Thank you Coconut Mama for the recipe! If I wanted to add pureed pumpkin or pureed bananas, how much could I add…without ruining the recipe? I’m looking for grain free muffin recipes to get my carboholic kids away from grains. However I am sensitive to eggs. Do you know if I can sub chia “eggs” for some of the eggs in this recipe? What can be use instead of eggs? I don’t have coconut oil? What else can I use or can I omit? These are super delicious. What a great recipe! I adore lemon pound cake so I added orange zest and 6 tablespoons of lemon juice; everything else as per your original recipe. So amazingly good! The whole family loves them. Thank you! I’ve been so disappointed with gluten-free baking in the past and this recipe was a pleasant surprise. Tried this recipe with the nieces today, it was a great hit! will definitely be making them again. taste great plain, and even better with a thin spread of jam! can’t wait to try out other variations. thanks for the simple but tasty recipe! They look delish!!! Can these be made vegan? Maybe flax eggs? I have a question. I made these the other day, they turned out well and are delicious!! But I used tin liners, do you use them or just pour batter straight into muffin tin? I just made these, and I have to say right away that they turned out so much better than my first attempt baking with coconut flour (I made cookies – the hardest, driest excuse for cookies ever). These are dense but not dry. I added blueberries to half the batter, which added bites of sweetness. I added applesauce and pumpkin spice to the other half. The apple sauce made the mixture much more liquid but the muffins turned out great. I think these were the favorites! Just made these, they’re delicious!! I made 2 adjustments, I added 1/2 cup unsweetened coconut flakes and lemon zest and juice from 1/2 lemon. I really love the added coconut and lemon. I can’t wait to try other commenters suggestions as well, I think they’ll make a great on the go breakfast or just a treat. I LOVED these! I used half coconut oil and ghee and put some dried cranberries in the mix. Also used some coconut sugar and less honey. Basically what i loved is this was easy to mess with cause I hate following recipes (that is why I am not known for my baking 😉 My son is suspicious of me always trying to make everything healthy and asked which vegetable I put in them this time. He had one and loved it. He’s trying to have a third but I think two is good! Anyway thank you. Love the suggestion of adding lemon and zest I will do that next time! Just made these! Super delicious! I find with coconut flour recipes they generally call for a LOT of eggs, and that bothered me cos I was tasting a lot of the egg in the recipe, so I tried this recipe with 4 eggs instead of 6 and it came out beautifully! I would try gelatin “eggs.” I’ve made gelatin egg carrot cake with coconut flour and arrowroot. It was dense but delicious. I am sorry to say, I haven’t tried that for this recipe, but now I want to! I’ve done lemon, chia (instead of poppyseed) with blueberries and I am thinking the chia also may help with binding if you are using gelatin eggs. Ps lemon chia blueberry is really good with this recipe, as is! Thanks, Tiffany! I was worried because the batter was very thick but I just tasted one (hot out of the oven – couldn’t wait they looked so good!) and they are delicious. I followed the recipe to a T and added frozen blueberries after the resting period. Can’t wait to make them again with other add-ins! I made this recipe adding a mashed banana for taste. flavor was good, but the muffins were kind of oily. I think less coconut oil might be better. Best coconut flour recipe yet! I added the juice and peel of one lemon plus a mashed banana and dried cranberries. So easy and delicious. Great for my 16 mo old, thank you!! First coconut flour baking recipe I’ve found that actually works! Super easy, simple ingredients and tastes super. Will be serving these with some mascarpone or yoghurt tonight. Thank you! I’m now going to try another reader’s version- cranberries & orange zest. Thanks Tifanny for sharing this awesome recipe! I made these muffins today (halved), but subbing psyllium husks (sp?) and water and stevia for the honey (2Tbsp PH / 1/4 water / few drops of stevia to taste). I also added some fresh grated coconut into the batter. They taste great. Will be making them again and again, and may try different variations next time, like adding fruits or nuts etc. These look amazing, I am making them tonight! I will try some mashed berries as one reader suggested…I can’t wait! Can you substitute light-tasting olive oil for the coconut oil? Thanks! Hi Rachel! I don’t see any reason why not 🙂 Are you trying to avoid the coconut taste? Thanks for sharing this great recipe. I just made these muffins and they tasted AWESOME. I added blueberries to half the batter and it came out exceptionally good. Thanks again! Hiya, I’ve just recently made some coconut muffins (unfortunately it wasn’t this one) and they’ve turned out all crumbly and not really able to be eaten as muffins/cupcakes – I don’t want to waste them so I was wondering if you could tell me or point me in the right direction how I may turn them into a caramel pudding or something similar. I am very new to the alternative flours. I’ve just been looking for a recipe like this. Have everything to hand except 6 eggs. There’s recipe on my organic coconut flour packet for Walnut Raisin Muffins that only needs 3 eggs. I think I’ll try that. It sounds yummy! Great recipe. 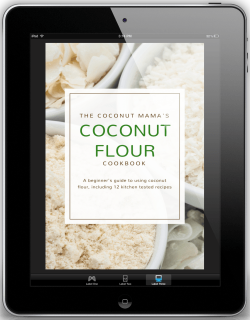 Most of the coconut flour recipes call for other flours and xanthar gum(sp). I wanted something simple and good and that’s what I found when I baked these. I swapped agave nectar since I didn’t have honey and added a little water, because they seemed dense. My son loved them so I can make them for his breakfast. He is a picky eater. I wanted him to get some good nutrients in the morning and these have protein and fiber. I love them too! thanks for posting this recipe. mine came out way too heavy but i didn’t use the honey either..i’m a diabetic so can’t use honey or agave..Didn’t have a 3/4 c so used 1/2 c and 1/4 ? Just baked these and they are SO tasty! I was pleasantly surpised because I tried another coconut flour recipe a few days ago and they did not turn out well! Thank you for this recipe! I will definitely be making these again 🙂 I would like to add some fruit next time! So I made these by the recipe except I swapped honey for organic maple syrup because that’s what I had in my pantry. They’re so good. I had some leftover eggs whites from making homemade mayo that I wanted to use up, so I made these again but I first whisked the 2 egg whites, then I added some flaxseed and water, plus 4 eggs. They’re even lighter and fluffier. Thanks for the recipe, so simple and easy to make. What is the nutritional breakdown on these? Look great! Made these tonight, but mixed half honey and half almond butter. They were dense, but tasty! I tried this with coconut flour. I needed 2 eggs instead of two and I added 1 tbsp almond butter. I needed to cook this for 5 mins. I cut the recipe in half. It made 4 regular sized muffins. I used maple syrup instead of honey. I felt like something awesome ( the family had dr pepper cake and brownies… I was tempted ) to really satisfy my cravings. So I experimented. I put mashed banana and peanut butter in 2, cocoa in 1, and then fresh lemon in another. WOW lemon goes well with coconut flour, cocoa was the usual awesome, and the most amazing one was the banana and pb, I couldnt believe how these muffins were just like regular muffins in every way. Thank you for this!! How much of each did you add? Ivy » Ummm that sounds like a great combo! I am on the GAPS diet. Can I leave out the baking soda? Or should I replace it with something? Sorry I didn’t get back to you sooner! I was out of town. I think these will work just fine without the soda. They will not be as fluffy, but I think they will still taste good :). You could try separating the eggs and whipping the whites to get more air into the mixture. No idea if that would work since coconut is a heavy flour but with six eggs it could make a difference. I wanted to say THANK YOU! My daughter has only 2 safe foods, Chicken and Eggs due to severe food allergies. We have been trialing coconut for about 2 months now and it has been a pass.. we’ve never had a grain so no cupcakes, muffins, bread, etc. I found this recipe and made it for her the first time on Saturday.. they were AMAZING! I changed the honey to agave nectar light and dropped the quantity to 1/3 cup (she’s got sugar intolerance issues). I can’t believe how good they are!!! can’t wait to try some other stuff with the muffins!! Thank you! Good for you for finding recipes for your daughter. There are many. But, one ingrediant I noticed that I have read alot about….is the agave. Beware of it. It is highly processed. Do you like raw local honey, or maybe maple syrup? I love baking with coconut flour. If you add 2 tablespoons of psyllium powder it will change the consistency and make it less crumbly, The results will be moist and soft with a better mouth feel. You will have to play with the amount of flour/liquid to get it right though. These look delicious! I love how simple the recipe is, too. Sometimes its fun to experiment with new ingredients, but I am always very happy to find a recipe that calls for ingredients I can find in my pantry! Jen, in the second comment, asked about a stevia replacement for the honey. I have found that using applesauce and stevia can replace the honey in coconut flour recipes. I’m posting a stevia sweetened coconut flour cake soon that will include the ratios! This recipe is fantastic (and just what I have been looking for!). I have made it twice and varied the recipe a little both times. I used stevia one time and coconut nectar the next – both worked well as honey substitutes. I also added blueberries and bananas. For a special treat, I added a little bit of coconut butter on top. Thanks so much! Just made a batch for my GF/DF, grain, refined sugar free toddlers, added 1 raw apple peeled and chopped and handful of sultanas plus 1/2 tsp cinnamon – absolutely the best coconut flour muffins I have made so far! Will be using this as a base for all my kids muffins from now on – Thank you! Just had to say that I tried one and they are delicious! I plugged the nutrition info in My Fitness Pal and they are 20 carbs/14 grams of sugar each. Not bad! Hi,If you don’t mind me asking how much fiber and protein did they have? I just happened to stumble upon this recipe, and I am making a batch up right now! I’m on a low carb/low sugar diet, but I’m also trying to cook healthier for my BF since he eats a lot of crap/sugar. He doesn’t like the coconut flavor, but he has tried some stuff I made with coconut flour and liked it. So, I was happy to have everything on hand. I am using refined coconut oil so it doesn’t have much of the coconut taste. I am debating on adding some cinnamon or pumpkin! Maybe I’ll just have him try the basic recipe first before adding anything else. 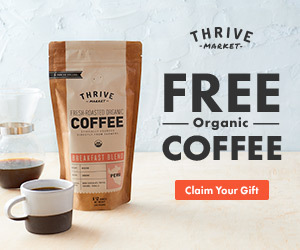 Can Stevia be used instead of honey? I haven’t used stevia in this recipe, so I’m not sure :(. If you try it, please let me know how it turns out! I have just made some with stevia and they turned out great 🙂 I used 3tbs which I must admit is quite strong, so unless you’re a sweet-tooth I think 2tbs would be sufficient. I also replaced coconut oil with a packet of “Oatly Healthy Oat Cream” as I didn’t have any coconut oil around. It worked out just fine, although the oat cream has xantham in it. Some people don’t get on well with this, but it works for me.